Social media has brought us all together in ways we never could have thought possible years before. As much fun as sharing our lives is with friends and perfect strangers, there is something lacking when it is used to try to truly collaborate. 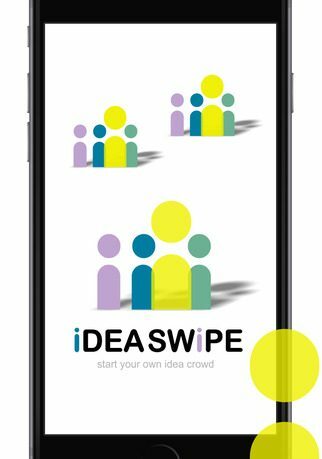 Here to move the digital brainstorming process forward is the IdeaSwipe app by Effective Mind AB. Use IdeaSwipe to capture your ideas and share them with friends. Invite colleagues to a challenge and run a LIVE brainstorm in your smartphone. The fuel for innovation is radical ideas and collaboration. Radical ideas comes from creative thinking among colleagues. the ability to start a LIVE Brainstorm with invited friends & colleagues, directly in your smartphone in real time. sourcing of ideas, a place where you can turn ideas into innovations. IdeaSwipe has a simple concept behind it. Cut out all of the noise that social media has created so real idea production can be done, then allow others in to collaborate. First, login by creating an account with your email. Facebook, Google, Twitter and LinkedIn sign-ins are listed but not currently available. The options are coming soon. Once logged in, set up My First Challenge to get you started. You can invite friends to share the challenge and contribute and comment on others ideas. To gain momentum, the app suggests you start a 30 minute live brainstorm to collect ideas in real-time. If you get stuck you can shake the phone or click the wrench icon to get a “thought trigger”. The thought triggers are helpful cards that appear with jumping off points complete with illustrations to get the thought juices flowing. 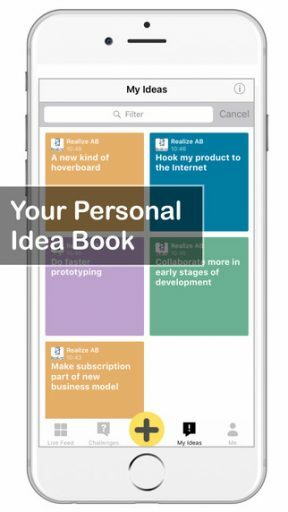 Ideas you have created are all organized in the My Ideas section so you can always go back to them. Inviting friends is as easy as clicking the link that will send them an email with the information to download the app and join. 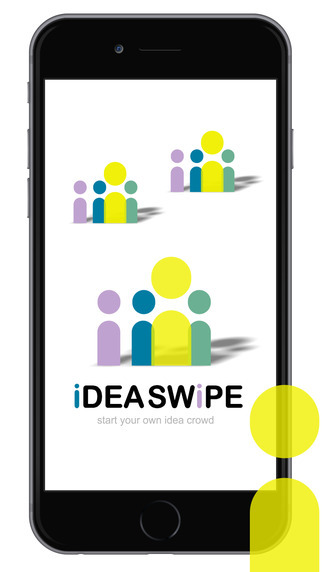 IdeasSwipe is a great tool to create ideas, challenges and brain storm with other people. 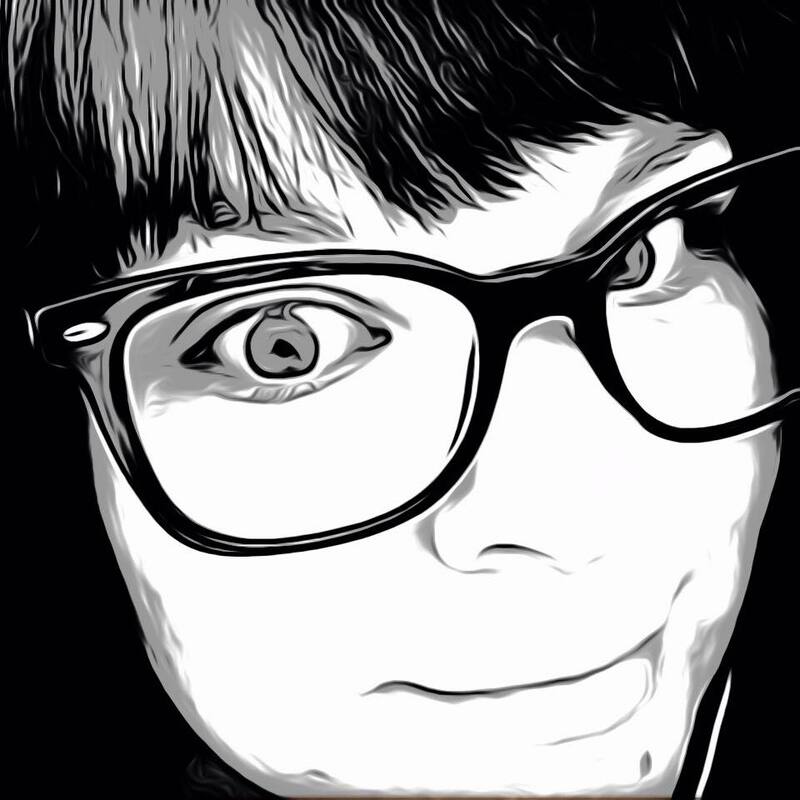 The live brainstorm function can be useful on many levels. Whether it be for instant collaboration with friends or developing new ideas with coworkers for a new project at work. Use the live feed to stay updated then shake the phone to trigger creativity with the thought trigger cards. What I like the most is how simple it all is. IdeaSwipe aims to take the process beyond connecting on Facebook and get people to actually collaborate and create something. IdeaSwipe is available now in the App Store for free and is compatible with iPhone, iPad and iPod Touch.